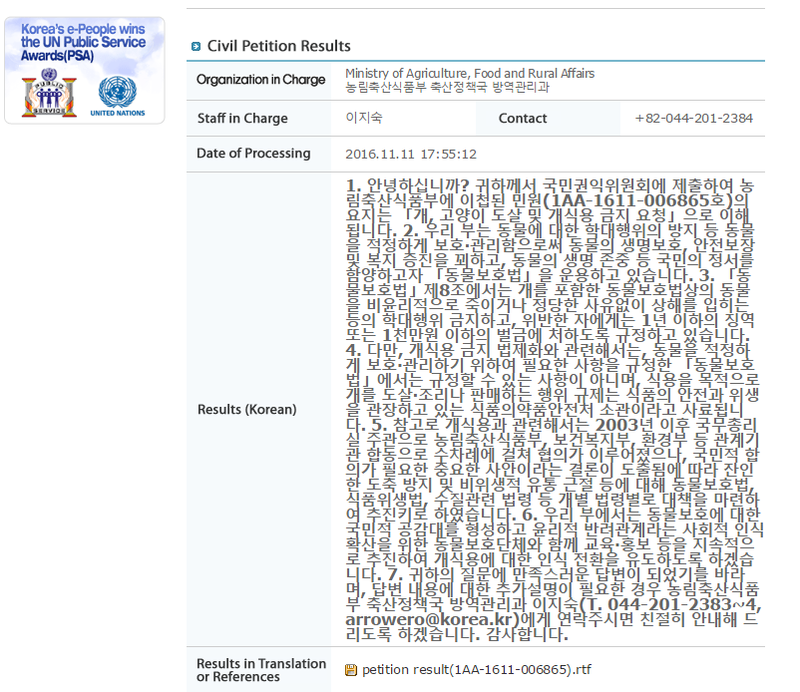 ‘e-People’, the online portal for sending ‘even trivial’ complaints to the South Korean authorities, who claim they will listen closely to the voices of the people (everywhere in the world), has responded to our complaint about the illegal activities of the dog meat trade by including a statement noting that “prohibition of such habit [dog eating] by laws calls for social consensus”. In other words, they have not answered our concerns, but have given a meaningless and evasive reply. 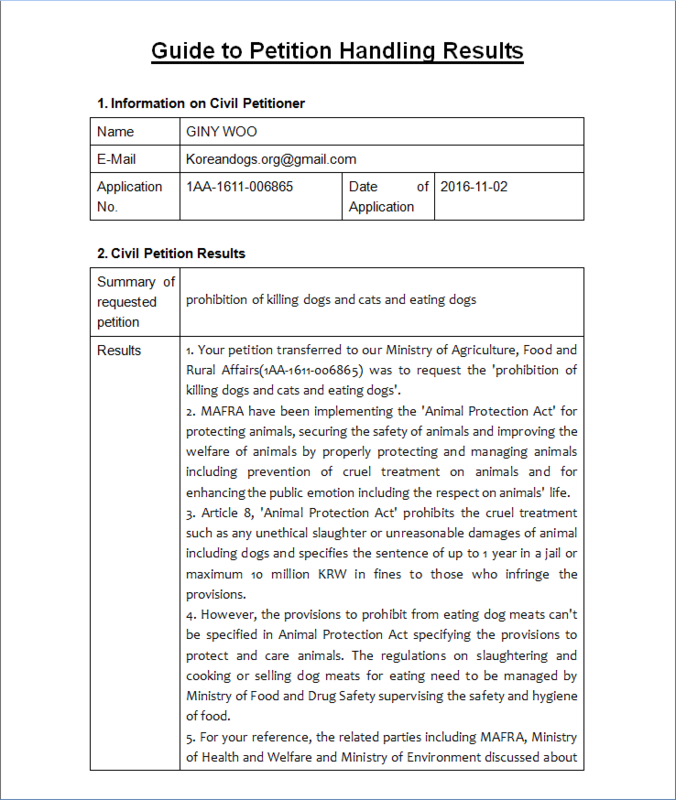 They have not listened to our ‘voice’, nor indeed do they seem to be listening to the voices of the people of Korea, more and more of whom are turning against the illegal dog meat trade, and these dog-eating ‘habits’. And, since when does any country need ‘social consensus’ to enforce the law? Yet again, our concerns have fallen on deaf ears. 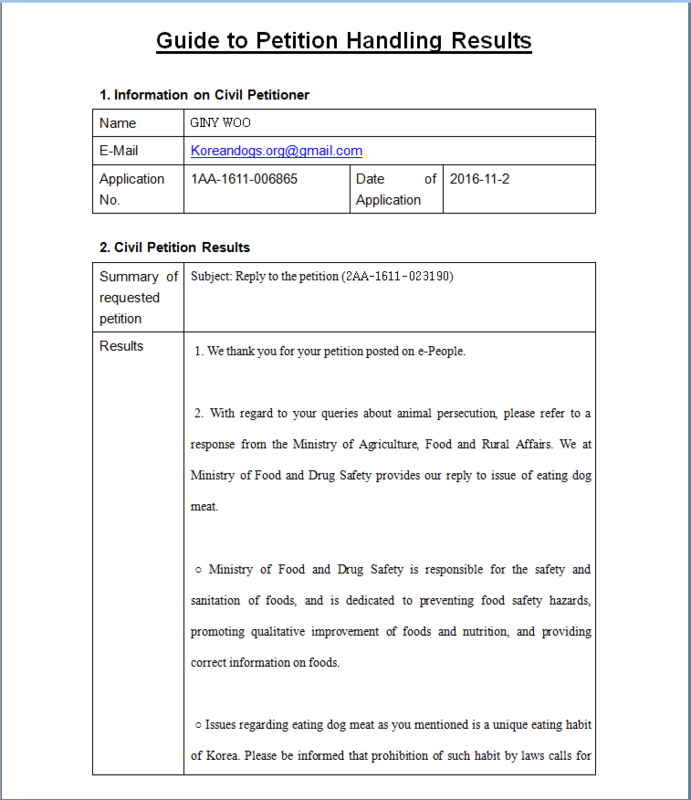 Click HERE for legal information about dog meat consumption. 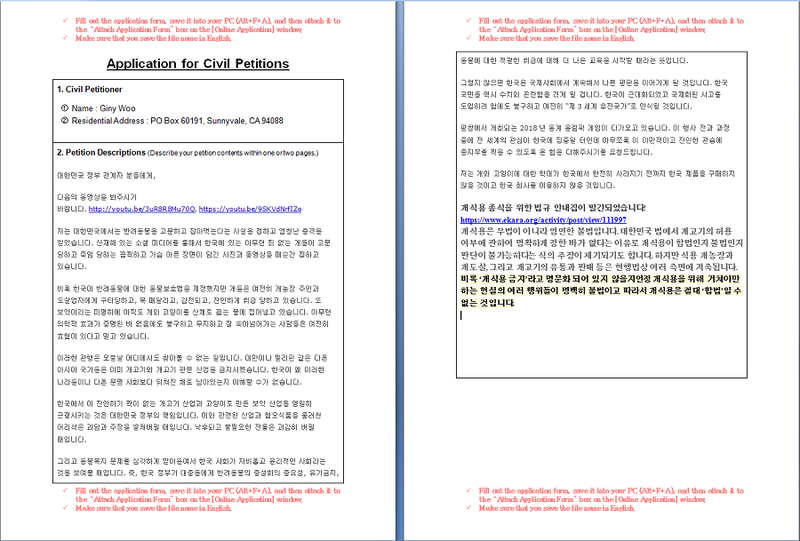 Click HERE to file your petition on e-people. 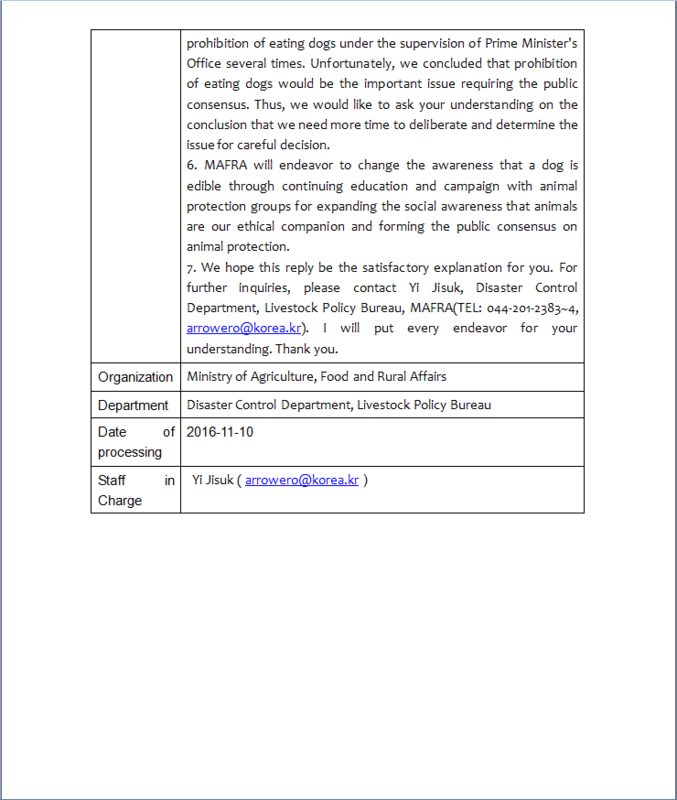 Video: Korea Animal Welfare Association. Moran (Seongnam) Market’s Cruel Trade. 모란시장의 잔인한 거래. It appears that South Korea is a “lawless” country and will remain “third world”. My heart goes out to the compassionate socially progressive Koreans who condemn their governments corruption. This is a shame on all Koreans. The world sees them primarily has “dog eaters”. They do not deserve to be lumped into the group of savages that practice this heinous and midievil cruelty. Shame on the South Korean Government. The Korean people who don’t agree with the dog torture and eating practice in their county, should rise up and do something about it. All around the world, people are doing what they can, sending donations to rescue groups, signing petitions, making phone calls, etc. But from afar, we are limited and can only do so much. 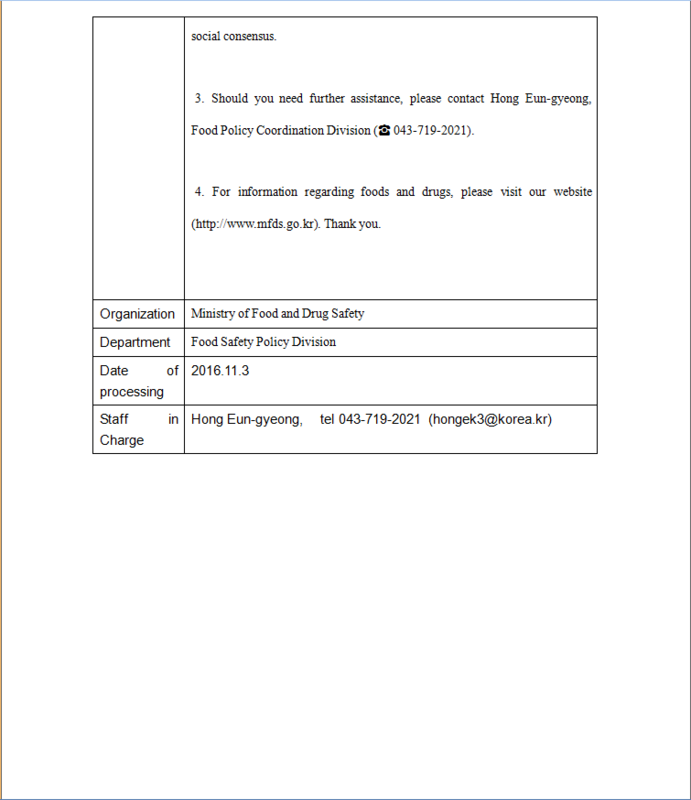 If you live is South Korea and are one of the so called many against the DMT, why can’t you organize and physically protest every day, even small local groups in each particular area, as I’m sure traveling to all be together would be prohibitive. But there is strength in numbers and it seems like most of the people against the DMT, just use lip service and aren’t really out there fighting. I wish they would band together and get this ended once and for all. I have no words, this needs to stop or Korea will forever be reviled as a sick, sadistic dog eating nation !!!!!!!! The world will see South Korea as monsters and SUB HUMAN as long as this DMT continues! If the people do not wished to be viewed that way, DO SOMETHING ABOUT IT! 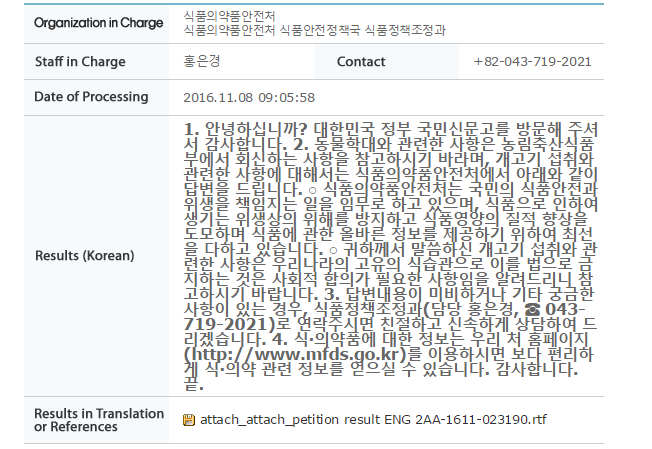 We cannot go to your country and change things for you…you need to do this YOURSELF! We are not the monsters here!